And I open my eyes to see who is there. As I rub and stretch the sleep from my skin. But I ignore the words and drink my tea. Instead I read the news and leave the voice ignored. I glance at the pile of dishes needing to be washed and dried. It does remind me of the waters of Corfu. Feel the sun on my face, let the breeze set my hair askew. Go somewhere new, let fate roll the dice. So I packed my bags. Au revoir, my dear. 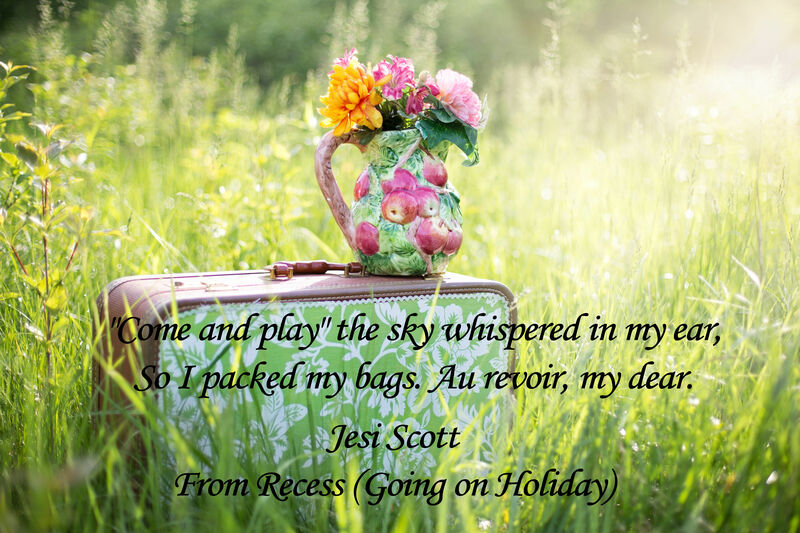 This entry was posted in Jesi, Travel and tagged Corfu, holiday, holidays, Poem, Poetry, taking a break, trips, vacations. Ah, daydreams and stories are all I have. Awwwh well that was a nice second best, I suppose…but…I wish. It’s still my dream to visit Corfu one day, and find the bits of it that haven;t been turned into tourist traps. I don’t blame you. I’m falling in love with it the more I read and Greece is one of those places I’ve wanted to visit so the book REALLY ISN’T HELPING! Rofl sigh. One day perhaps.